Suitable for use with angle grinders. 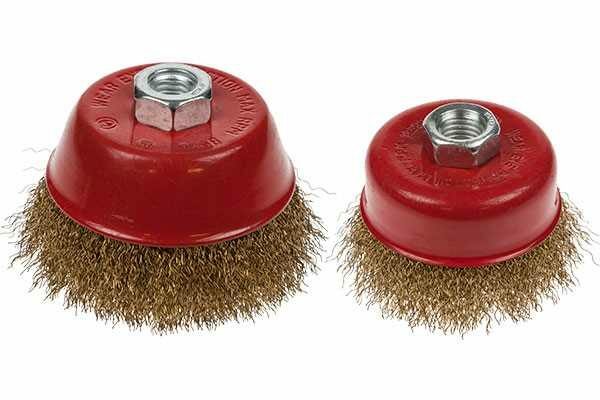 Ideal for light to medium duty surface preparation and cleaning applications. Manufactured from 0.3mm brass plated steel wire.